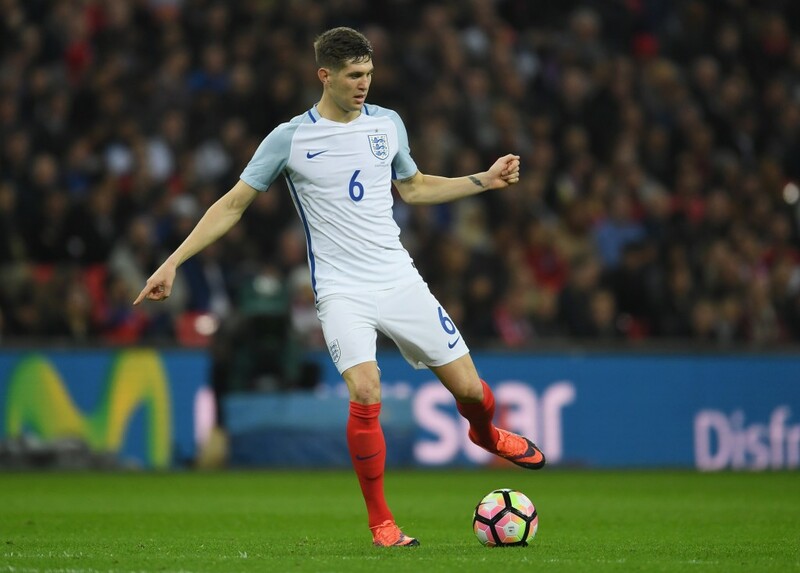 ‘Get rid of it’ is a common cry in football matches of all levels across Britain and Ireland, and it’s the cry that now accompanies Manchester City and England’s John Stones around the pitch too. England’s recent 3-0 win over Scotland was not as comfortable as the scoreline suggested with many blaming Stones for Scotland’s chances. This is one of a number of recent games where Stones has been cast as the main culprit for all that has gone wrong. After Manchester City’s 4-0 away loss to Barcelona in the Champions League, he was heavily criticised for the many occasions his attempts to play the ball out of defence with close dribbling and tight passing caused City more problems than attacking opportunities. In the following match, Stones’ detractors had more to feast upon as, with the ball at his feet in his own box, he decided on a blind sideways pass to fellow centre-half Vincent Kompany, who had already started running up the pitch, leaving the ball behind for Nathan Redmond to round the keeper and put Southampton into a 1-0 lead. The camera cut to a grimacing Stones and the man on the bench who invested £47.5 million in the 22-year-old’s ability to play his way out of those situations. It is the Guardiola way. It is why he wasted no time in dispensing of Joe Hart, he of the hoofing variety, for Claudio Bravo, he of the passing variety (at least theoretically). He wants his teams passing the ball in all areas of the pitch, in favour of long balls that turn possession into 50/50 contests. In Stones he found a player with similar principles. Since he first appeared in the Premier League with Everton, Stones’ style of play made him stand out from other defenders. He possesses a natural calmness on the ball and is comfortable running with it. He has the vision to spot passes that many midfielders would struggle to see. And he does all of this while being English (add on another ten million pounds). But it is also this style of play that lends itself to intense scrutiny. During his time at Goodison, ex-Arsenal man and regular football pundit Paul Merson made a passionate critique of Stones’ penchant for ‘messing around with the ball in the box’, along with lamenting the fact that Roberto Martinez didn’t make him amend his ‘ways’. He stressed the point that his former manager George Graham would have taken him off the pitch if he twisted and turned in his own box like Stones tends to do. It is easy to sympathise with these concerns. Defenders, in particular centre-halves, have always been judged by their ability to defend – to stop the other team scoring. The best defenders are known for their ability to read the game, to sense danger and position themselves in the right places to deal with it – areas where Stones has often been found lacking. Whereas, the ability to be comfortable on the ball and spot a pass has traditionally come second to defending itself. It is interesting to wonder though if Stones would be subject to such criticism if he was playing in the other major European leagues. For footballers growing up in Ireland or Britain, the ‘get rid of it’ doctrine is instilled in them as soon as they start playing. And whatever you do, lord have mercy, do not pass the ball across your own box! Yet we now regularly see defenders passing the ball across their own box and playing out of defence. Gerard Pique, deemed surplus to requirements at Manchester United, has made a hugely successful career out of silky passing skills, clouding over suspect defending. The Barcelona fans don’t have palpitations when he doesn’t hoof it out of defence at the earliest opportunity. They trust his ability on the ball and their footballing culture supports it. It can be argued though that most defenders don’t possess the skill of a Pique and are asking for trouble if they try to play like him. We see many examples of this in the Premier League. In contrast, the long, hopeful ball up the pitch may not always be the correct option but is the safest. The defender who takes this option will receive some complaints from teammates and coaching staff but it will be nothing compared to the backlash of giving the opposition the ball close to your own goal. This no-nonsense football ideology in the British Isles seems to come from youth games on dodgy pitches in cold winter months. In these scenarios it is often the strongest player with the longest and most powerful kick who is most coveted, while skill and technique come second. And it may be part of the reason why international teams from the British Isles continue to be inferior to their European and South American counterparts in terms of ability on the ball. Perhaps the Irish international team often look so uncomfortable on the ball because of this childhood fear. If they are faced with the short pass between players or the hoof up the pitch, they will choose the hoof because it may be cause groans but it won’t make Stones-like headlines. It is interesting then that when England, a team of similar problems, uncover a defender who is very comfortable on the ball, always looking to retain possession, we are almost wary of him. How dare this kid from Barnsley think he can play like Franz Beckenbauer and have the temerity to be valued at £47.5 million! 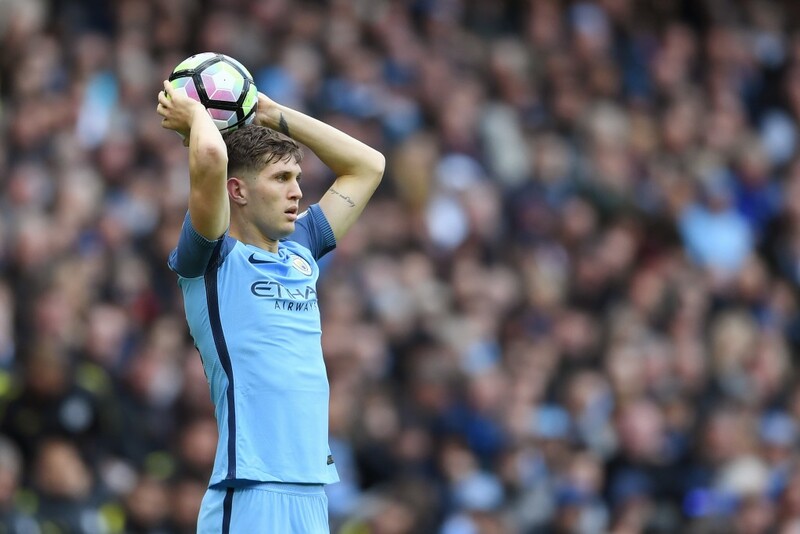 Of course, Stones needs to bring a balance to his game – knowing when to ‘get rid of it’ and when to play football. Gerard Pique never got his chance at Man United because they had two world-class defenders in Rio Ferdinand and Nemanja Vidic who could play football and defend equally well. However, for the level of footballers in the British Isles to progress, maybe we need to encourage players to show the confidence on the ball that Stones does. They will make mistakes but they will surely grow into better footballers than if the ‘get rid of it’ policy continues to dominate. Complete our survey below to be in with a chance of winning a Pundit Arena jersey!